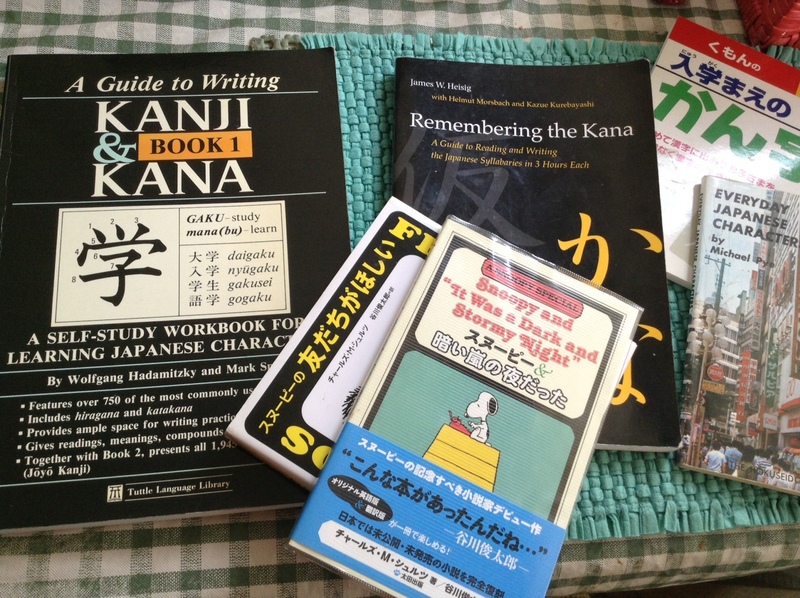 I spent a large part of my limited free time last year in trying to teach myself the Japanese kana syllabaries. To unsophisticated Westerners like me, the angles, triangles, and hooks of the kana characters, especially in blazing neon above Shibuya, convey a sense of alien futurism, like sequences on a Martian spacecraft, despite their being rooted in a writing tradition centuries old. To bring the rest of us up to speed: the kana are syllabic characters which represent the sounds of the Japanese language, as opposed to concepts (represented by the sinitic kanji characters). The kana derive from simplified kanji strokes, and are a much better way to reflect the phonologically richer syllabic and morphological structure of Japanese than the imported Classical Chinese ideographs and symbols. There are two syllabaries in the system: hiragana, the more ‘cursive’ looking script used more or less for native Japanese word elements (like verb endings), and katakana, the more ‘angular’ looking script for foreign words and to give emphasis (much as Roman alphabets do with italics, as I just did in this sentence). The alternations of kanji and kana actually allow you to visually unpack the elements of a Japanese sentence between meanings and inflections. A fun way to learn them is with James Heisig’s Remembering the Kana, which comes up with some occasionally bizarre mnemonic techniques to help you make sense of the systems (the basic parts of which are surprisingly easy and consistent). Given that I don’t actually speak Japanese, however, all I can do is parse loanwords (which, in fact, are all over the place on signs and websites). “Cancel” buttons read “ka n se ru” for example, in syllables, so at least I can get out of doing something strange online…so, to confess, you have to be in at least for the sheer aesthetic and cultural pleasure of the thing.